In a preliminary report to officials with Japan’s Securities and Exchange Surveillance Commission as well as law enforcement officials, investigators revealed the amount of money unaccounted for in Olympus’s books may now total some $4.9 billion. Investigators are looking into whether any of that money went to companies with ties to organized crime. 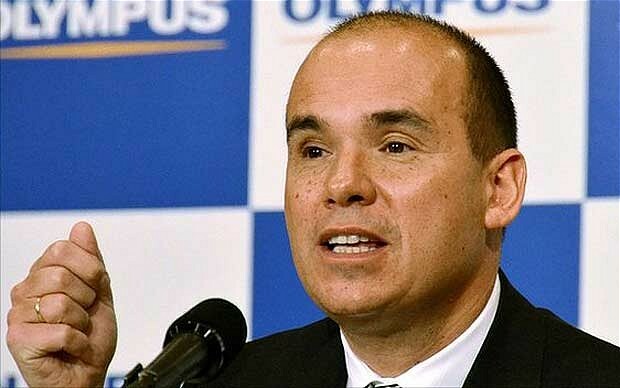 Olympus’ scandal broke last month with the abrupt firing of the company’s first non-Japanese CEO, Michael Woodford, after he raised questions about $1.4 billion in fees paid during recent mergers and acquisitions—including $687 million sent to a company in the Cayman Islands with unknown owners. After his firing, Woodford went public with his questions and the scandal rocked Olympus: the company’s chairman and vice president stepped down, and Olympus later admitted it used acquisitions as part of a strategy to cover losses dating all the way back to the 1990s. The company has appointed a third-party committee to get to the bottom of the cover-up; the committee initially reported that they had uncovered some $1.6 billion in questionable transactions, although their investigation is still ongoing. Olympus faces de-listing from the Tokyo Stock Exchange if it can’t file its quarterly financials by early December. According to the preliminary report to regulator and law enforcement—a copy was obtained by the New York Times —Olympus spent a total of ¥481 billion in questionable acquisitions, advisory fees, and investments during the decade from 2000 to 2009, but only ¥105 billion has been written down or accounted for in the company’s financial statements, leaving ¥376 billion—or about US$4.9 billion—in the wind. According to the memo, investigators are examining whether up to half that amount—or about US$2.5 billion—had been channeled to organized crime syndicates, possibly as the result of coercion. Part of the investigation seems to be focusing on whether Olympus was being used as a front by organized crime to launder money. One such scenario might be to have organized crime funnel money into Olympus, which the company would then spend to acquire other companies or sink into questionable investments that it would later write down or write off as losses. Those companies and investors, in turn, hand the “clean” money back to the organized crime syndicates, and all the money appears to have come from legal sources. Olympus has consistently denied any involvement with organized crime, including Japan’s infamous yakuza syndicates.